You are currently browsing the archives for the CoolSculpting category. Buy Adobe Acrobat on Bri Bridge: Local Designer Brings Custom Rock Couture To Arizona. movie review buy on Bri Bridge: Local Designer Brings Custom Rock Couture To Arizona. Blaine Manning on Ulthera: Does Ultherapy Really Work to Lift and Tighten the Skin? CoolSculpting is a non-surgical fat freezing procedure that contours the body by safely and effectively freezing away unwanted fat permanently. It has become a popular option for those who do not have the time to recover from liposuction. CoolSculpting is commonly used to treat problem areas like loves handles, stomach rolls, back fat, inner and outer thighs. The biggest variable is the amount of applicators and the size of the applicators needed to address the area of concern. Multiple applicators are typically needed to treat each area, it is not possible to determine how many or which applicators are needed without an in office assessment. Most CoolSculpting providers offer special pricing with multiple applicators. Generally the more applicators needed, the greater the value with a lower per applicator price. “Does CoolSculpting REALLY work”, this is a question people ask me all the time. I think the idea of removing fat permanently, without surgery seems hard to believe. Some people notice great results, while others may not see desireable results. So…why does CoolSculpting work for some and not others. CoolSculpting is a non-surgical device that works by cooling selected areas of fat to a tempeture the causes the fat cells to go into apoptosis. Apoptosis is a programed cell death, it’s like your fat cells commit sucide. With each treatment cycle we expect 20% of the fat cells to die. You may see improvement 8 weeks after your first treatment, but the fat cells will continue to die up to 4 months post treatment. You may see a noticeable reduction of fat in the treated area after one visit, but you may appreciate even more fat reduction with additional treatments. Most people should expect to do two treatment cycles on each area treated. Occasionally, more than two treatment cycles are needed to achieve your personal desired results. Coolsculpting uses something we call applicators that pull the fat bulge in and hold it in place during treatment. It usually take multiple applicators to treat a specific area. For example a stomach may require 3 applicators to treat the desired area, and the sides may require 4 applicators. The exact number of applicators needed to treat an area will vary by individual. – CoolSculpting and other procedures like liposuction only treat adipose fat, which is the fat above your muscle. Cosmetic procedures do not treat visceral fat, which is the dangerous fat that surrounds your internal organs. 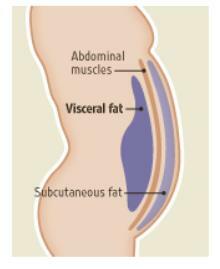 The visceral fat needs to be reduced via diet. – CoolSculpting will not reduce loose or excess skin, it is not an alternative to a tummy-tuck or body lifting procedures. – CoolSculpting is not used to treat cellulite. Treatments like VelaShape that us RF to reduce the size of fat cells and improve skin quality are better for cellulite treatment. Occasinally, someone will tell me that they have a friend who had CoolSculpting and it didn’t work. The truth is, it most probably DID work, but it may not have worked enough or was not the best treatmentfor actual concern. If someone is confusing skin for fat, they will be disappointed with results. If they have a large amount of visceral fat, reducing the adipose fat will not make enough of an impact. While there are those who were not good candidates, the most likely reason someone may feel like it didn’t work is because they didn’t have enough treatment. They probably needed more applicators to treat the area of concern and may have needed an additional treatment to make an impact that is appreciated. When I had fat transfer, the doctor used liposuction to remove fat from my abdomen to inject into my face. Now, I know for a fact that the fat was removed from my body, but I did not have any improvement in body conturing. To conture my shape he would have needed to suction out more fat. This does not mean that the liposuction didn’t work at removing fat, it means that MORE fat removal would have been needed to improve my shape. This is usually the case with CoolSculpting, it worked, but more treatment is needed for the desired results. It is important to keep realistic results, make sure that you understand the amount of area that is being treated. Do not assume that you are the exception, and will only need one treatment. If you have had a treatment and were not satisfied with the results, follow up with your provider to see if further treatments are needs or if perhaps another procedure would be better. YES, CoolSculpting does work and well. It seems that the “inner thigh gap” has become an obsession for many women. The internet is absolutely littered with “ITG” or “inner thigh gap” propaganda. Obtaining this goal can be dangerous, if you are dropping to an unhealthy weight. There are however, options to help you achieve the coveted thigh gap, with out starving yourself. Our bodies, generally do not create new fat cells after puberty. While the actual number of fat cells remain the same, they do change in size. Each fat cell will become larger with weight gain (stored fat), and when we lose weight (reduced body fat) each fat cells shrink. Where the fat cells are concentrated within the body, will vary, individually. Although, diet and exercise can reduce the size of fat cells, it will not reduce the number of fat cells or change the concentration of fat cells in a specific area. Luckily, there are procedures that can reduce the number of, or shrink fat cells in a targeted area. Cosmetic procedures are ideal when you want to reduce the concentration of fat in a specific area, however they are not intended to be used for weight loss. Cosmetic procedures target subcutaneous fat, which is found underneath your skin, but over the muscle. Cosmetic procedures do not target visceral fat, which is below the muscle and surrounds internal organs. Exessive visceral fat is associated with many serious health problems, and needs to be controlled with a healthy diet and exercise. Liposcuction is a surgical procedure, where fat cells are physicaly and permently removed from the treated area. Liposuction has long been used to remove fat, but we now have non surgical options, such as CoolSculpting and Velashape to treat targeted areas of fat. VelaShape™ is a non-surgical option that uses a combination of Bi-Polar Radiofrequency (RF), Infrared Light Energy, plus Vacuum and Mechanical Massage to increases the metabolism of stored energy, increases lymphatic drainage and reduces or shrinks the size of the actual fat cells and fat chambers. In short it shrinks fat cells, tighten skin and reduce cellulite. Velashape allows you to target the fat cells in the treated are. Most people should expect to do a series of 5 treatments, each treatment scheduled about 2 weeks apart. This treatment is very comfortable and with out any down-time. 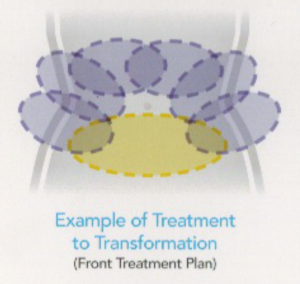 A typical treatment takes about an hour per area. 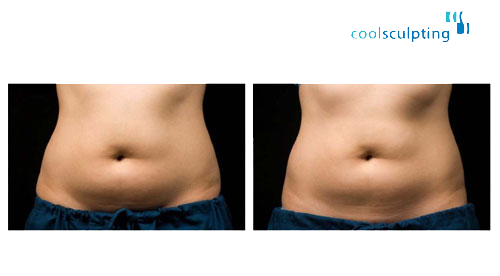 CoolSculpting™ uses controlled cooling to freeze and eliminate unwanted fat cells without surgery or downtime. CoolSculpting procedure is similar to liposuction, because it actually reduces the number of fat cells in the treated areas permenatly. Results can be seen as early as 6 weeks and continue to improve up to 4 months after each treatment. 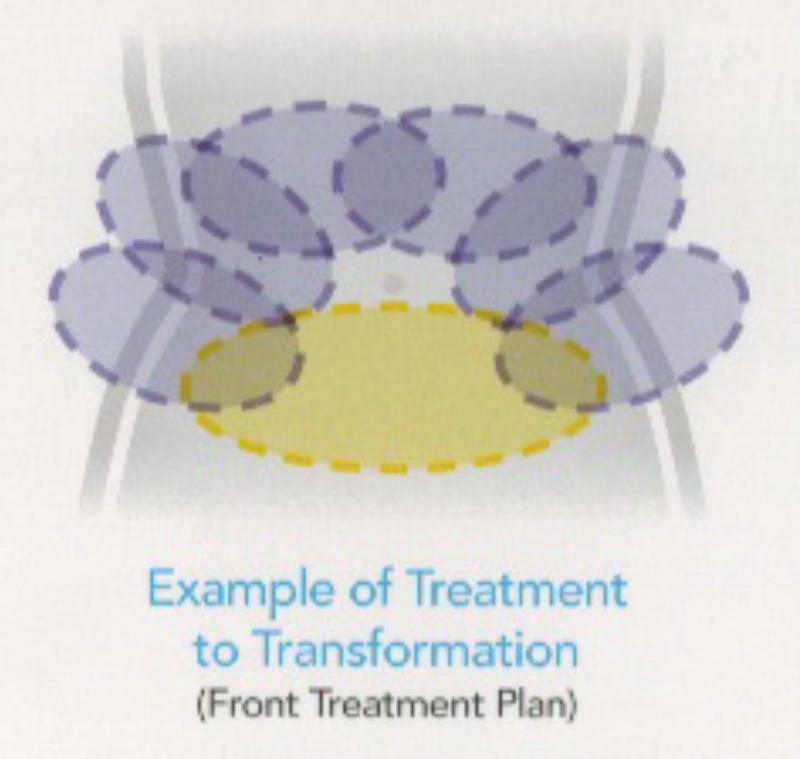 Most people should expect to do about two treatments per area. Most of the people I see in the clinic are a healthy weight, but would prefer to reduce the fat between their thighs, without dropping a lot of weight. These women are good candidates for aesthetic contouring procedures. My concern is with anyone who may have an unhealthy body image and an inner thigh gap is a measure of how thin they have become. If you are hopeing for an inner thigh gap, you need to ask yourself if you have a healthy goal or if you are struggling with body image and a possible eating disorder. In general a BMI below 18.5 is underweight, but if you are not sure consult with a doctor. History has shown us, that like beauty trends, body type prefreances will come and go, but healthy is always pretty. Coolsculpting is a non-surgical procedure used to get rid of muffin tops, love handles, back fat and all those fat bulges that torment us. The treatment only takes an hour per area and there isn’t any down time, so you can immediately get back to your normal activities. The best part is unlike other non-surgical procedures, the fat cells die permanently. 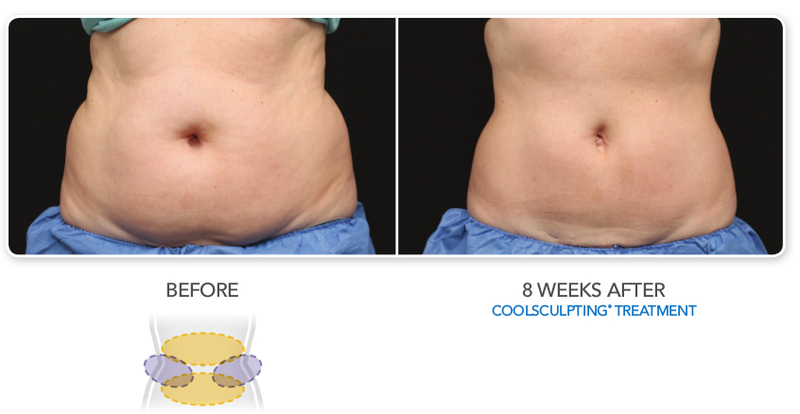 Coolsculpting uses a new technology called Cryolipolysis to reduce excess adipose tissue, or as we call it FAT. 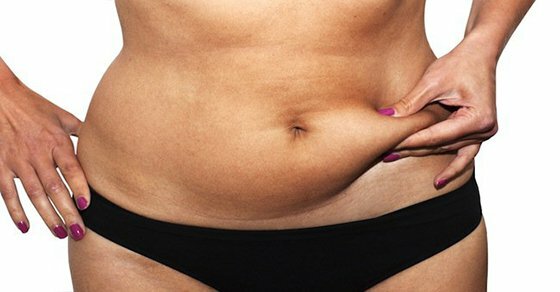 Cryolipolysis is kind of a fancy way to say freezing fat or controlled fat cooling. The controlled cooling is done in a way that does not damage surrounding tissue. Water freezes at 0〫celsius while fat freezes at 10〫celsius. Coolsculpting actually cools the fat to just above freezing, at about 12〫celsius. Adipocytes (fat cells) contain lipids that respond in a unique way to cold. When cooled to just above freezing the lipids will crystalize. When the lipids crystalize the fat cell dies, going thru a natural process known as apoptosis. The great thing about Coolsculpting is that there isn’t any tissue injury or necrosis, which is a traumatic cell death. Some of the fat cells will have immediate cell death, however most of the fat cells will continue to die as they go thru apoptosis, up to six months after a single treatment. The applicator is applied to the targeted area, you will feel a strong suction as it attaches. Once the applicator is applied to the treated area you will feel it begin to cool, surprisingly it doesn’t feel that cold. Once the applicator is applied and the cooling begins, you simply relax for the next hour. You can watch TV, read, work on your ipad or take a nap. The treatment is very comfortable. After an hour the applicator is removed. The fat in the treated area is raised and firm, it looks kind of like a stick of butter. The fat will be massaged and will flatten down to normal. There isn’t any down time after the treatment, so you can immediately return to your normal activities. Results can be seen as early as two weeks after treatment and continue to improve up to six months later. The most obvious change is seen around two months after treatment. Diet and exercise can help with overall weight loss, but diet and exercise are not effective for targeting weight loss for specific areas of the body. Exercise can tighten, tone and build muscle in targeted areas, however exercise can not target fat reduction in specific areas. Procedures like liposuction and Coolsculpting help to reduce fat in resistant areas. What Treatments Can An Esthetician and Aesthetic Laser Technician Do?